Mexico is the main destination for visitors in all of Latin America, and among the most visited countries in the world. Charming in its culture and with the heritage of millenary civilizations such as the Mexica, Maya, Olmec, and Zapotec; Mexico offers a collage of progress and modernization alongside tradition and mysticism. Mexico is the most populous Spanish-speaking country in the world, with a population of about 112 million inhabitants, and the people are friendly and warm. The primary language spoken by Mexican people is Spanish, which was brought to the region by Spaniards and Hernan Cortez, as they came to conquer the land in the name of the Spanish Crown. Today there are over 60 different indigenous languages still spoken in rural areas throughout the country, making Mexico the most idiomatically diverse country in the world. Undoubtedly a country of celebrations, these are known all around the world and the festive spirit is perhaps one of the main characteristics that mostly attract visitors. Among the most famous fiestas are Cinco de Mayo, Navidad y Dia de Reyes (Christmas and 3 Kings Day), Dia de los Muertos (Day of the Dead) and Dia de la Independencia (Independence Day). If you are lucky to visit on a day when any of these celebrations take place, you may find it hard to believe that the people having suffered greatly on some of these historic dates will have such a strong celebratory mood! Celebrations and traditions are also influenced greatly by religion. 90% of Mexico’s population is Roman Catholic, though this has also incorporated several pagan deities and rituals honoring Mayan and Aztec roots. Mexico is an amazingly diverse country, and offers just about everything for everyone! Colonial towns, endemic wildlife, mountain ranges, desserts, valleys, lakes and rivers, and its surrounding oceans (Pacific Ocean to the west, the Gulf of Mexico on the east, and the Caribbean sea on its south-east tip). Truly a traveler’s paradise! Learn Spanish in Mexico and experience this magnificent and enchanting country! 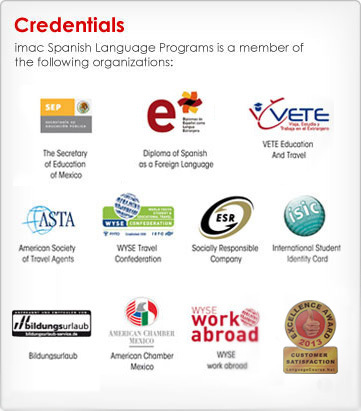 Looking for quality Spanish language schools? 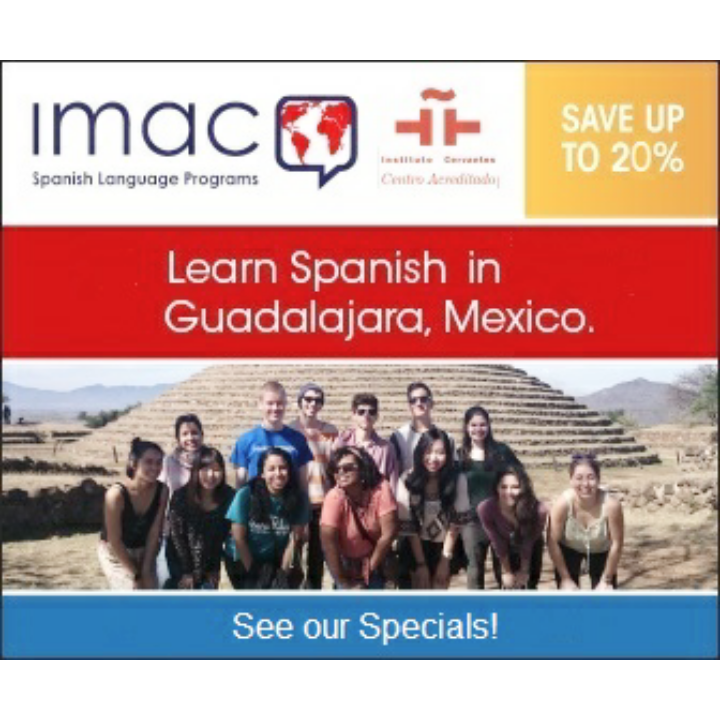 IMAC Spanish Language Programs has over four decades of experience in language education. We are one of the best Spanish Language Schools, and have a large selection of Spanish language courses in Mexico’s premiere destinations! Explore all the details of our Spanish immersion programs and our featured locations by selecting any of the following beautiful cities where we offer you Spanish Courses. You may also combine destinations, ask us!